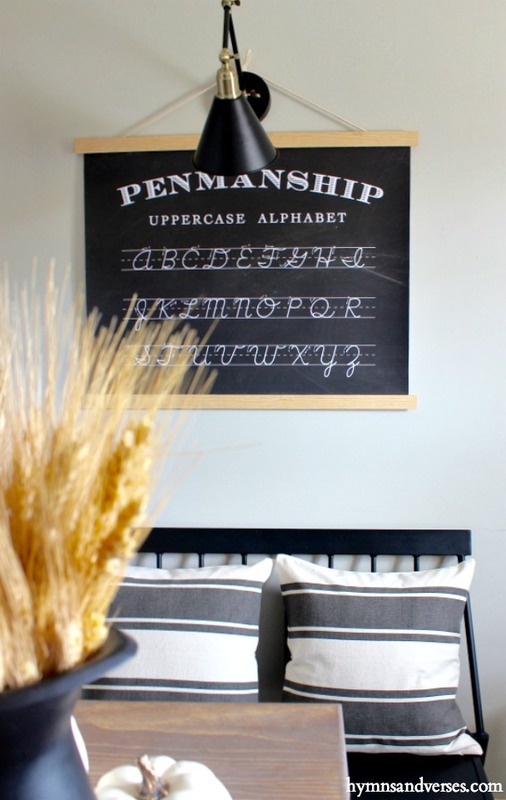 Today, I’m sharing a long overdue update of my black and white office. 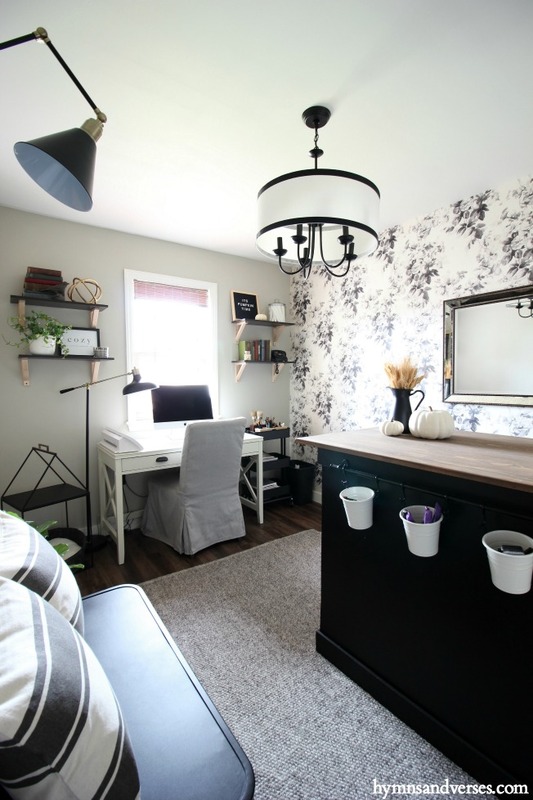 If you’ve followed here for a while, you know that I began working on this home office just about one year ago for the One Room Challenge. This room had been a bedroom and when my middle son moved out, I claimed the space for an office! I’ve done a few things in the past year to make this space function better for me and I thought it was time that I share it again with you! You can see the before of my office and the projects we did during the One Room Challenge HERE. Here’s what my black and white office looks like today! It’s not a large room and I have to use a wide angle lens on my camera to include most of the room in a shot, so please excuse the weird angles on these pictures. My office faces the front of our home and I can open the window when I sit at my desk and see outside, which I love! In the afternoons, however, the sun is way too bright and I need to lower the bamboo shades! To my DIY work table, I added this Fintorp organizational system from Ikea. I have another one of these above my kitchen sink with “string of pearls” succulents planted in the containers. Here in the office, they hold my measuring tape, hole punches, an eraser, chalk, etc. On the right hand side of my desk, I added another organizational tool from Ikea, the Raskog utility cart. 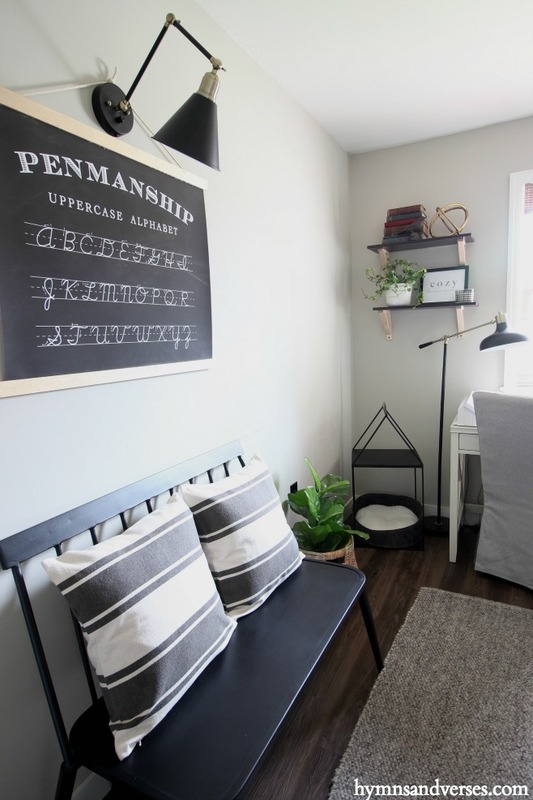 It’s perfect for this small space and I can roll it out if needed. It holds pens, pencils, paint brushes, chalk, scissors, stapler, catalogs, magazines, paperwork and more. On the left side of my desk, I purchased this Magnolia Hearth and Hand metal house-shaped log holder, when it was on super clearance. I use it as a little tabletop shelf and then I placed a cat bed on the bottom for Sadie, because she loves to always be where I am. The shelves in my office are a great place for me to store my ever-growing collection of vintage books, when I’m not using them elsewhere. 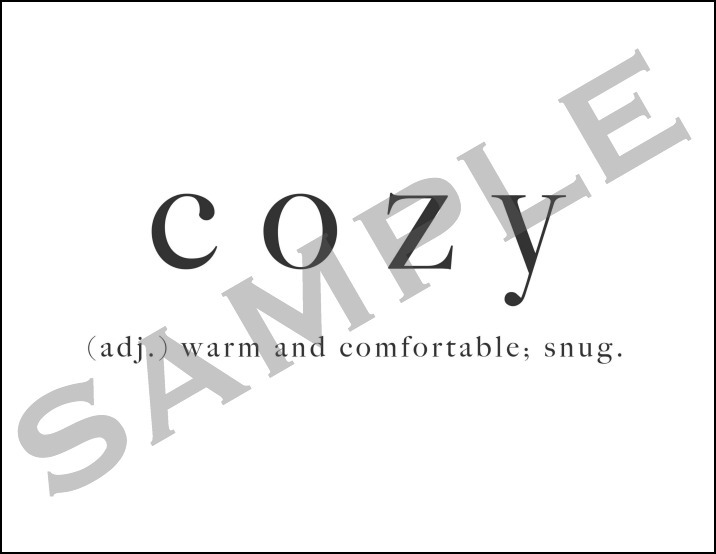 And, here’s a “Definition of Cozy” printable that’s available to download and print in my FREE Printable Library. 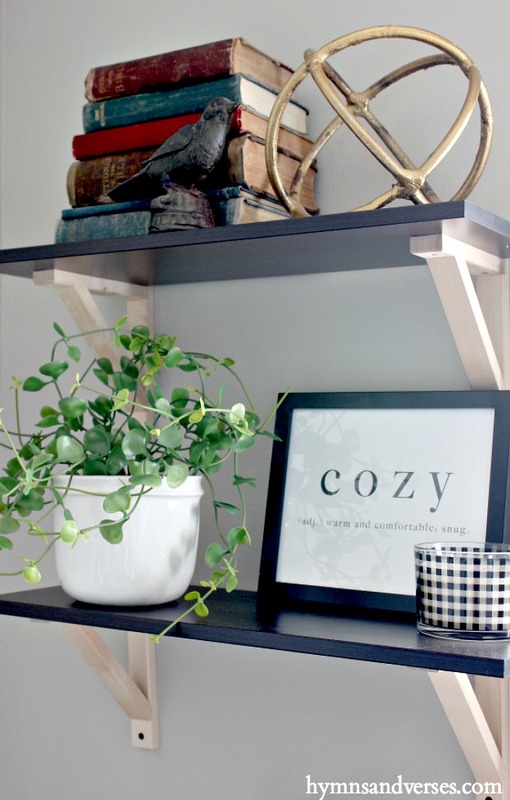 I shared this printable earlier in my cozy bedroom for fall post, but I actually have it displayed in my own home here in my office! 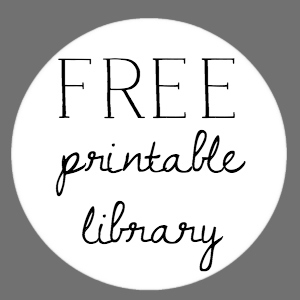 I printed it as an 8 x 10″ on my home printer and popped it into a simple black frame to display on the shelves. I moved the metal Windsor bench into the office last Christmas and it’s stayed here ever since! It fits the small space perfectly and gives extra seating if anyone stops in to see me! 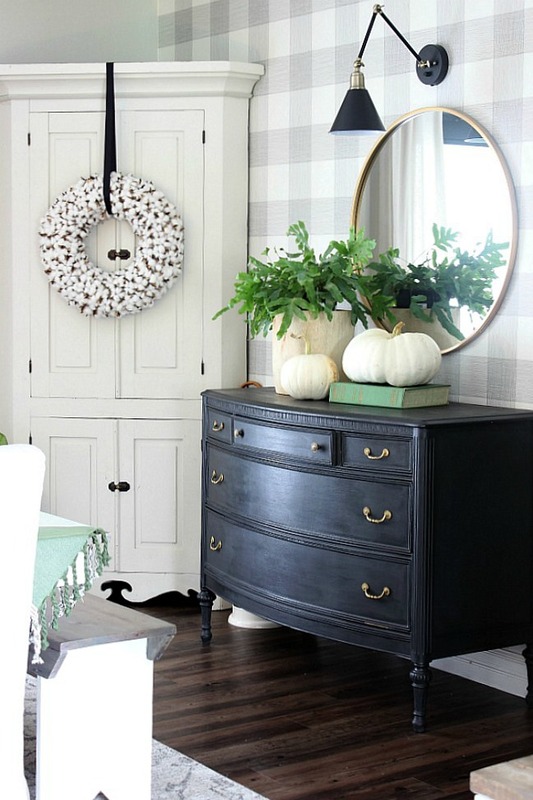 And, I moved the handwriting wall chart here when I decorated my mantel for fall. The wall sconce above the wall chart is the newest addition to my black and white office. I got a set of two of these wall sconces from Lamps Plus at an amazing deal! The second one is above the mirror in my dining room. These accents lights add a little low light that is perfect in the evening time! And, here’s the other side of the room. I’ve kept it pretty much the same! I still love having this closet and it’s filled to the max with home decor! I’m thankful that the organizational boxes that I purchased at Ikea have worked well to keep things neat and so far the only thing that would make it any better is if it were bigger! You can see the inside of the closet HERE. 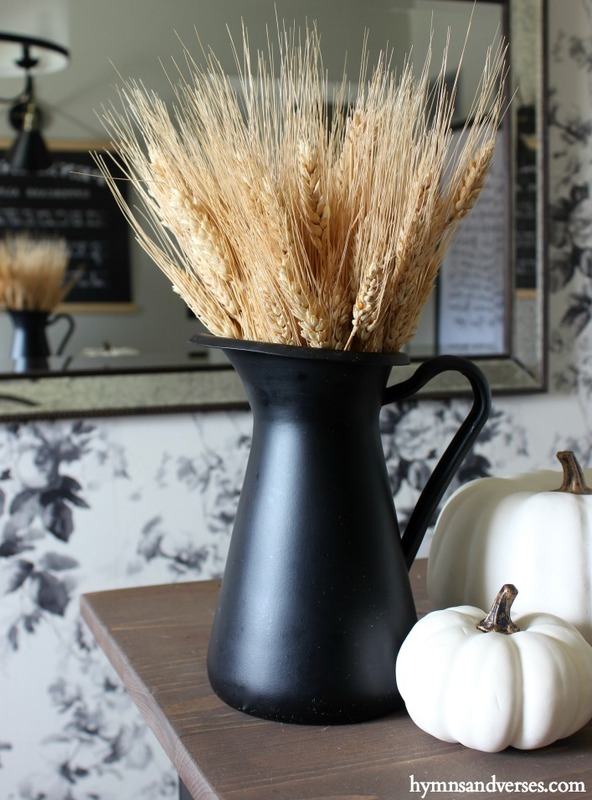 Of course, I had to add a little bit of fall to my office with a few faux pumpkins and a simple pitcher of wheat! I’ve saved my favorite thing for last – a new piece of art for my black and white office! I purchased this print from Lindsay Letters and I absolutely love it! I had it enlarged and framed as a 24 x 36″ print and it hangs to the right of the closet. 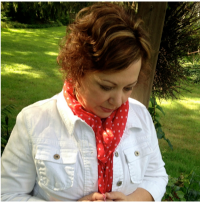 It’s a productivity prayer for the creative person, and I absolutely love reading it each day – a whispered prayer that speaks my heart. 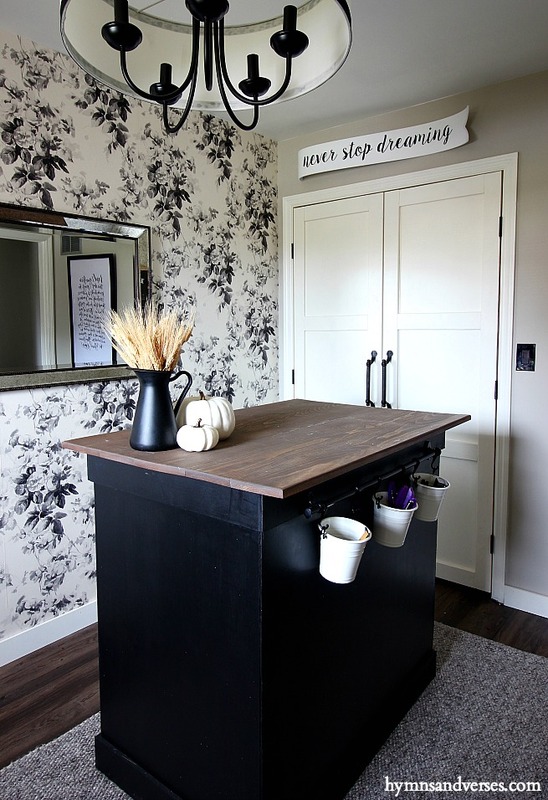 Get a butcher block tabletop for my work table. The DIY wood tabletop works, but I think butcher block will be more sturdy and last longer. I really need to pick up a step stool so I can reach the top shelf in my closet. Get a piece of glass cut for my desk top to protect it! Install a sliding barn door. All in all, I absolutely love having my own space to work (I used to work from our lower level family room) and it has functioned well for me! Thanks for stopping by today to see the updates in my black and white office! 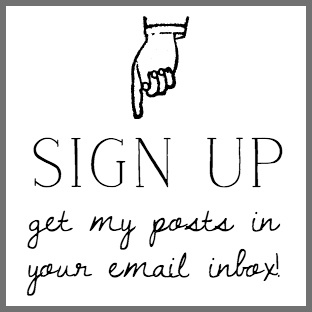 If you are looking for any other sources for this space, you can also check the One Room Challenge posts or the SHOP MY HOME tab in near the top of this page. I’ll be back soon with a pretty fall tablescape! Your office is the cleanest cutest black and white office I’ve seen! And the cat bed is genius! Love it all. This is a lovely office, too pretty to do work/crafts in! The office has a relaxing vibe going on! I love all the storage and pretty wallpaper. 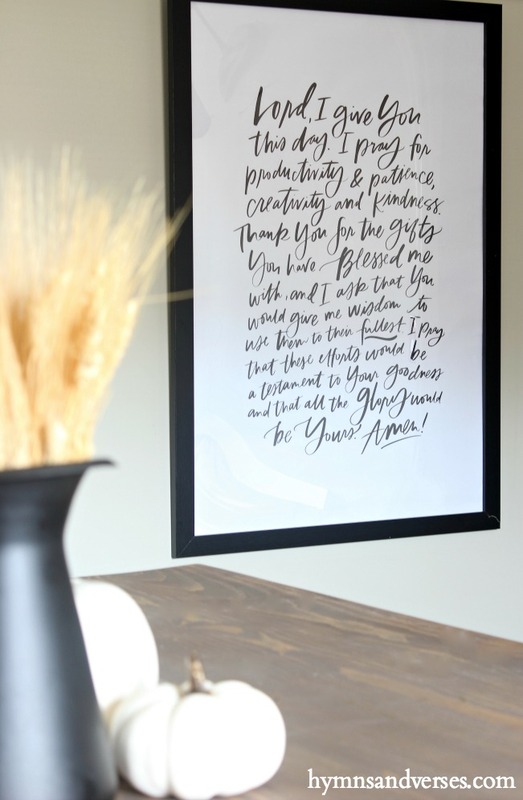 It looks like a great place to be creative and i do love that prayer. Have a great day and see you later for that tablescape. It all looks so pretty! I adore those pillows on the metal bench. I checked your shopping page but didnt’ see a source for the black and white pillow covers. Would you mind sharing the source? I love everything about this!! I love black and white- so classic!! And that productivity prayer is awesome! 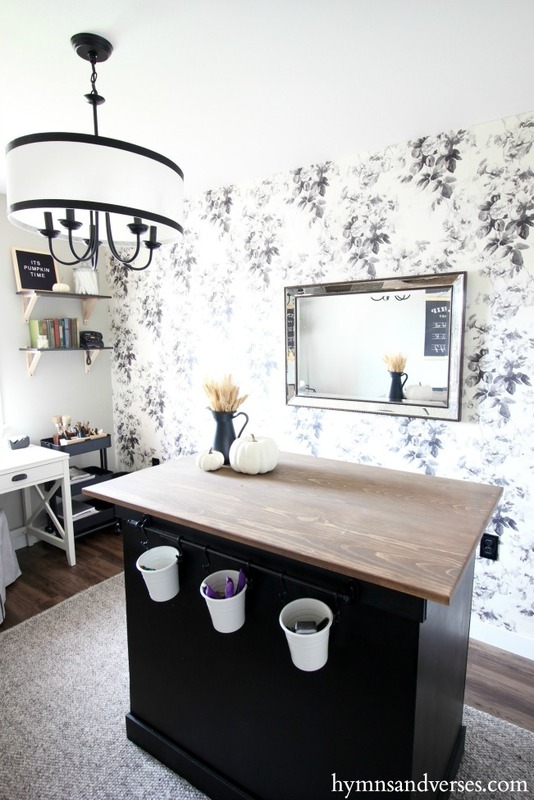 Love your office, so cute yet functional! Will you share where you purchased the white desk? Love that! LUV it all! Amazing and creative space!! What a beautiful space! Love everything you have done, especially love the “prayer print”, just lovely! I’d been saving this to read so I’m glad you reposted this. Your office is even better! It is a perfect workroom. Your color scheme is perfect. Everything works together so well. I like how you have storage plus aesthetics. The color scheme is so striking!